Summer is for fresh fruits and cobblers. This Southern girl will never feel like a Northern zip code means changing anything about that. This weekend, thankfully I was able to get my fill. My parents went this past week and picked some fresh peaches at a spot in New Jersey. Peaches from the local store – or, better yet, local market – works as well. 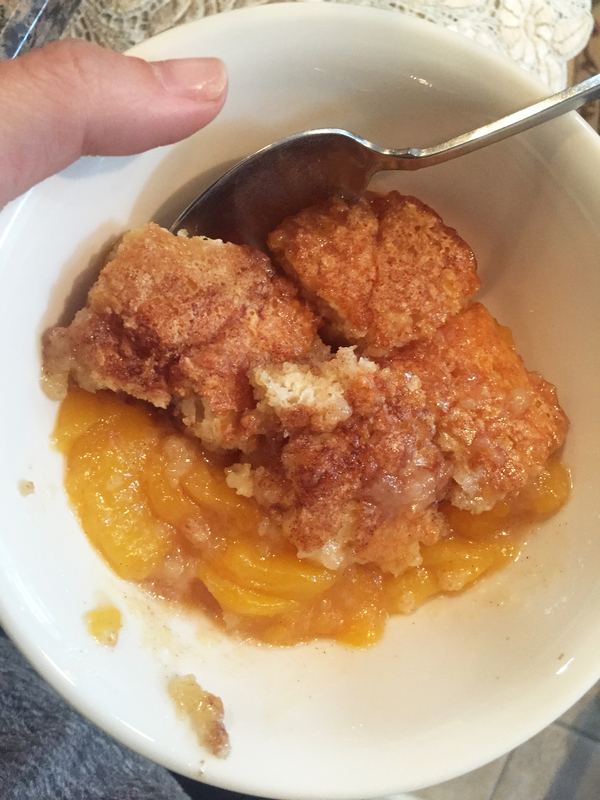 The best thing about cobbler is it is incredibly easy. You don’t need to spend a ton of time perfectly rolling out or chilling your crust layer. Nope. Skip that silliness. Cobbler has you covered. And the end result is equally tasty. My mom found this easy recipe from Southern Living. The longest part of this prep time was peeling and slicing up the peaches (you want to make sure to cut out any bad spots and, of course, the tougher spots leading up to and including the pit). Once that was ready to go, the rest went quickly. 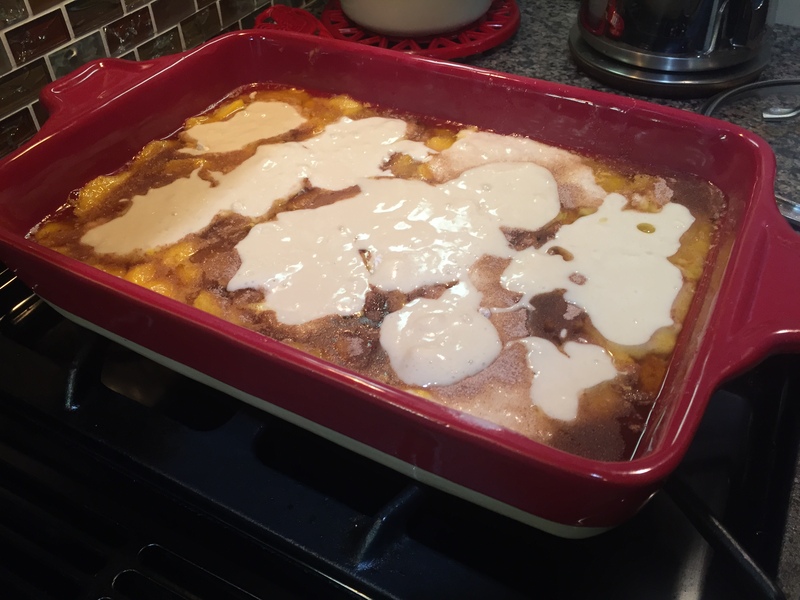 First, melt the butter in a 13″ x 9″ baking dish. Separately, mix up the batter by combining the flour, 1 cup sugar, baking powder, and salt and then adding the milk. You will want to stir just until dry ingredients are moistened. Then pour batter over butter, but do not stir. 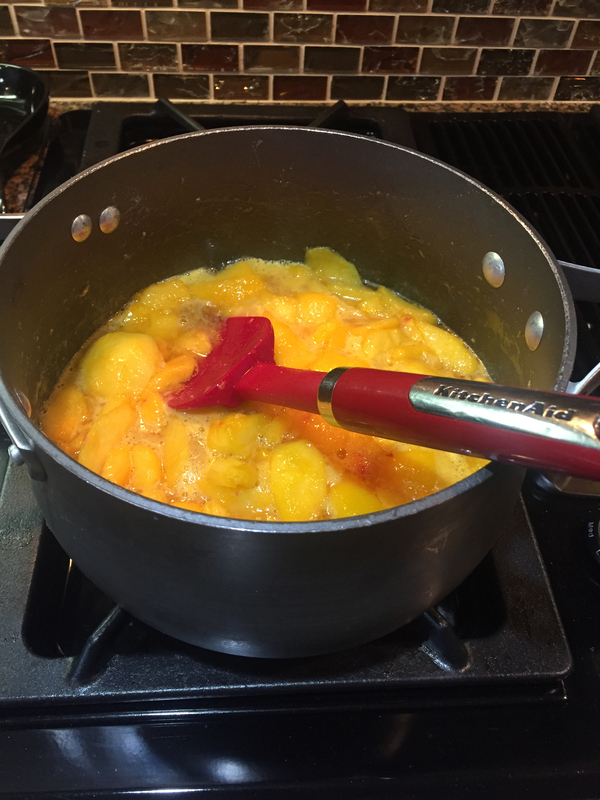 Finally, bring the remaining 1 cup sugar, peach slices, and lemon juice to a boil over high heat, stirring constantly. Then pour over the batter (again, do not stir). You can then sprinkle with cinnamon if you want (or, as we chose to do, put a lot on top!). Bake at 375° for 40 to 45 minutes or until golden brown. Serve cobbler warm or cool. could i have been anyone other than me? memoirist. restaurant critic. amateur cook. displaced southerner. trapeze artist in training. yorkie mama. For writing samples or to contact me for freelance writing opportunities, please click here. grits (grĭts): A ground, usually white meal of dried and hulled corn kernels that is boiled and served as a breakfast food or side dish.